Call it Jewish Communism, Jewish Bolshevism, Zionism, Israel Worship Or Satanism. It is all the same and it is all about control of every aspect of our lives. It is also about mass murder and destroying nations around the world to usher in a One World Hellscape. Everything that is good and beautiful is being turned into evil and unimaginable ugliness. Look around, cities are crumbling and we are not advancing as a civilization. An evil agenda is a cloud over humankind. This is why bought off Zionist Puppet Politicians send your hard earned income to Israel. This is why all your food is taxed by a Rabbi. Notice the little “U”s and “K”s on your food. You are here to serve one group of people. And that group are evil control freaks that seemed to have crawled out of Hell. The words of Israel’s founding father, David Ben-Gurion, still resonate: the state of Israel is a work in progress and its borders should not be fixed or even defined. The Protocols Of The Learned Elders Of Zion are said to be fake for purpose to make the Zionists look bad, even if that was true, it seems that a lot of what has been written in the Protocols by whoever wrote it are today coming true! Coincidence? Sure seems like an evil road map to takeover the world to me. The Protocols Of The Learned Elders Of Zion were first published in Russia between 1897 and 1903, translated into multiple languages, and disseminated internationally in the early part of the 20th century. The Holocaust is a tool that is used to justify killing and doing evil to others these days. There is even a Holocaust Industry and lots of movies made. Since this is the case now more and more people are starting to realize something is wrong here and are doing their own research. The Holocaust is very questionable to me and scientifically could not have happened as we were feed and why does Hollywood not make movies about Stalin and his Bolshevik Jews that were the biggest mass murders in history? Because Hollywood is mostly Zionist propaganda. 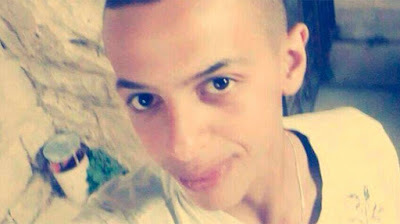 July 2, 2014: Israeli settler Yosef Haim Ben-David and his two nephews kidnap and burn alive a 16 year old Palestinian youth, Muhammad Abu Khdeir, in East Jerusalem. On July 1 the three Israelis had attempted to kidnap and murder an 8 year-old Palestinian child in East Jerusalem, but the boy’s mother heroically fought off his three would-be abductors. What happened in Palestine is nothing new. 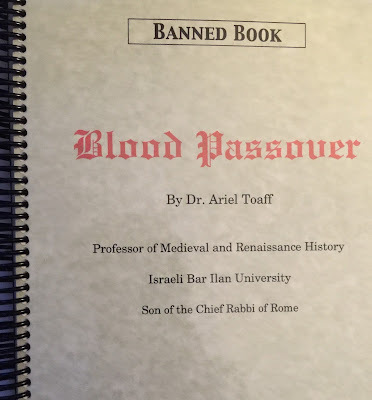 During the Middle Ages Ashkenaz Judaics kidnapped and ritually murdered Christian children, as documented by Israeli historian Ariel Toaff, the son of the Chief Rabbi of Rome, in his banned book, Blood Passover. One of the victims was an infant, Saint Simon of Trent. All pontiffs since Pope Paul VI have suppressed his memory and the testimony by Catholic witnesses of his victimization. All images and memorials commemorating St. Simon have been removed from Trent, Italy by order of the modern Church of Rome. The memory of the holocausts perpetrated against our children are suppressed. This is considered a positive moral act in the West today. Only one “Holocaust” is permitted to be recognized and remembered. It is considered a hate crime to recall what Talmudists have perpetrated against Christians, or the Israeli holocaust against Arabs. *Holocaust: burnt offering. From the Latin, holocaustum, derived from the ancient Greek ὁλόκαυστος ‎(holókaustos). Michael Hoffman’s Truth Mission is made by possible by donations and the sale of his publications and recordings. So way before WW2 and to this day we have a group of people that seems to enjoy murder and death. I am not saying all Jews are responsible for this! That would by morally wrong! 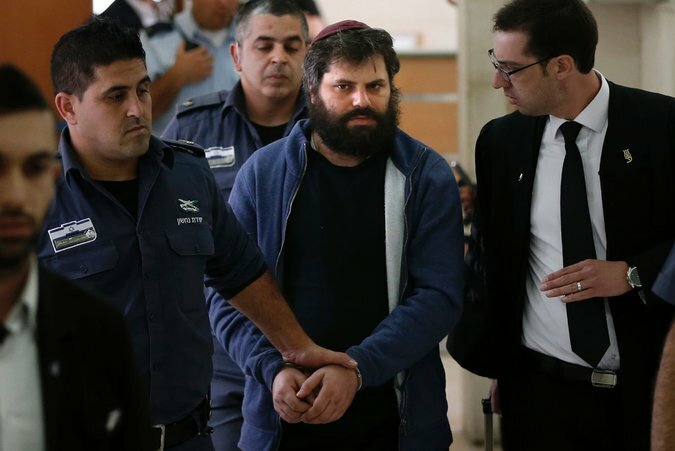 There are Rabbis and Jews that denounce evil even in Israel when they see it and some have even lost their lives doing so. I want to live in a world free from evil, war and mass murder. Years ago I stopped watching TV and movies except for an occasional classic that I don’t view as propaganda. Let’s face it, if you watch TV, read magazines, newspapers or watch movies you are being manipulated and brainwashed to believe false history and reality. You are pushed to hate a group of people. This control of the media has been going on for along time. It was used against Germany and even before that. It is easy to create an enemy, even by a cartoon. MANIFESTO OF THE COMMUNIST PARTY By One World Order Jews KARL MARX & ENGELS Read It On PDF. The Ten Planks of the Jewish Created Communist Party – Shows The USA is Occupied. Same thing happening around the world. Misapplication of the 16th Amendment of the U.S. Constitution, 1913, The Social Security Act of 1936.; Joint House Resolution 192 of 1933; and various State "income" taxes. We call it "paying your fair share". We call it the Federal Communications Commission (FCC) and Department of Transportation (DOT) madated through the ICC act of 1887, the Commissions Act of 1934, The Interstate Commerce Commission established in 1938, The Federal Aviation Administration, Federal Communications Commission, and Executive orders 11490, 10999, as well as State mandated driver's licenses and Department of Transportation regulations. We call it the Social Security Administration and The Department of Labor. The National debt and inflation caused by the communal bank has caused the need for a two "income" family. Woman in the workplace since the 1920s, the 19th amendment of the U.S. Constitution, the Civil Rights Act of 1964, assorted Socialist Unions, affirmative action, the Federal Public Works Program and of course Executive order 11000. We call it the Planning Reorganization act of 1949 , zoning (Title 17 1910-1990) and Super Corporate Farms, as well as Executive orders 11647, 11731 (ten regions) and Public "law" 89-136. 10. Free education for all children in government schools. Abolition of children's factory labor in its present form. Combination of education with industrial production, etc. etc. People are being taxed to support what we call "public" schools, which train the young to work for the communal debt system. We also call it the Department of Education, the NEA and Outcome Based "Education". I have to point out Israel, Zionism and Zionist Paid Off Politicians were reportedly involved in doing the 9/11 False Flag Attacks. Same with the Kennedy murders.